Quantum Break, the new video game by Max Payne developer Remedy Entertainment, is no doubt a polarizing game. Some reviewers have praised the game’s combination of third-person action gameplay and live action TV show, while websites like metro.co.uk have called this latest Xbox One game “a crude mix of very basic and largely incompatible ingredients”. But despite the fact that some may have scorned developer Remedy’s approach, it is clear that Quantum Break still is a bold experiment and one game that could yet turn out to be a hit for Microsoft. And even if the game’s story has a serious tone overall, at least the folks at Finnish studio Remedy have shown a sense of humour when it comes to dealing with video game pirates. 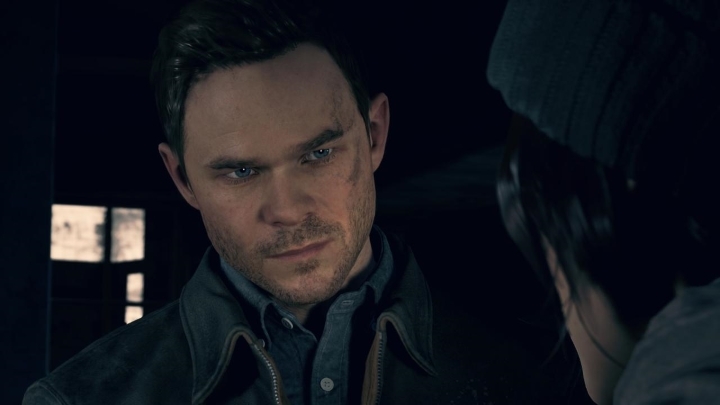 If the game suspects a user might be running a pirate copy of the game, protagonist Jack Joyce (who is played by actor Shawn Ashmore in the live action segments) will appear wearing an eye patch in the interactive portion of the game, as reported on gaming website Eurogamer (see screenshot below). 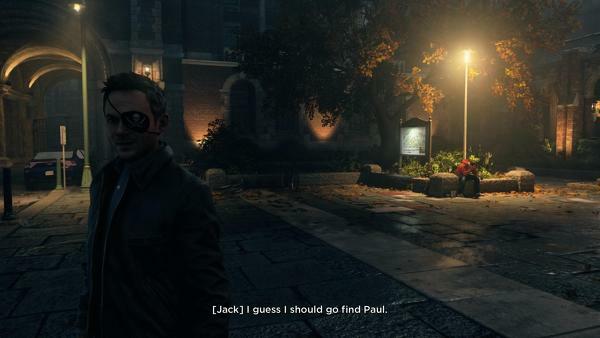 This is not the first time that Remedy has put eye patches on its video game characters, as they did so in their 2010 video game Alan Wake too. However, it seems that even legit owners of Quantum Break are seeing protagonist Jack Joyce with an eye patch in the game, as those running Quantum Break on PC without logging into the Windows Store will also see Joyce with an eye patch in-game. It’s unlikely though, that any PC users have seen the eye patch thing in Quantum Break to date, as the truth is that the game’s copy protection is almost impossible to break. You see, Remedy’s latest game is protected by a copy protection scheme known as Denuvo, which has left most pirate groups stumped to date. Even notorious Chinese group 3DM threw the towel last January, stating that they would stop cracking games for a year after they failed to break the copy protection in last year’s Just Cause 3. Apart from tougher copy protection measures, other factors in today’s PC gaming world are making PC piracy a thing of the past, like some new features offered by Valve’s Steam online store, which now offers refunds for games and very competitive sales. And now that users can buy PC games from Steam with little risk, getting to try the game first, and getting heavily discounted deals in the Steam summer sale for instance, piracy is even less of an issue. So perhaps the eye patch Easter egg in Quantum Break is more a curiosity than anything else, a reminder that perhaps those times in which PC piracy was rampant and video games were heavily pirated, are coming to an end.